We're sitting down with our favorite writers and cooks to talk about their upcoming projects, their best food memories, and just about anything else. This article is brought to you by Ten Speed Press. Head here to pick up a copy of Lighten Up, Y’all. Today: Virginia Willis brings to the table a new compendium of Southern classics, lightened up. Get acquainted with the book, then make her Smoky Seafood Étoufée tonight. 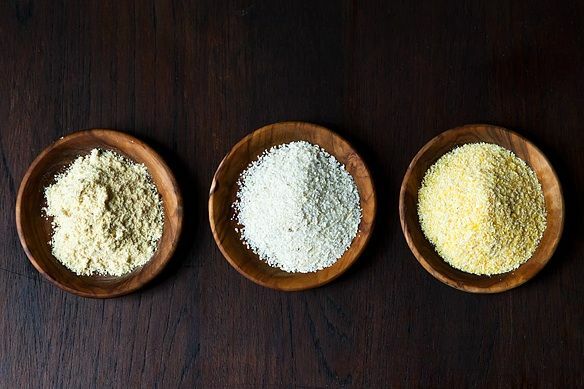 When Southern fare comes to mind, it's easy to let your thoughts wander into a land of biscuits, fried chicken, and grits. For decades, and until recently, the South's food has been portrayed this way in wider popular culture, to the dismay of many Southern chefs. The internet would love for you to think that fruits and vegetables have long abandoned the states south of the Mason Dixon line. But things aren’t always what they seem (and that’s a good thing). 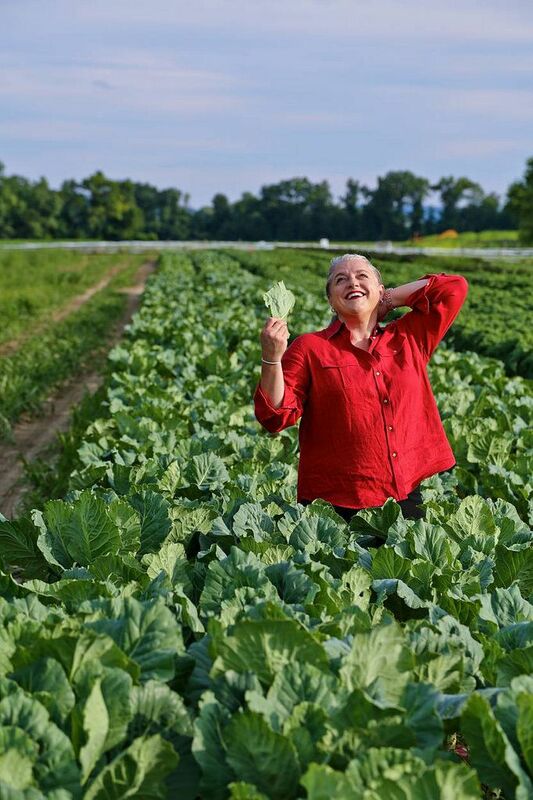 Virginia Willis has made her fair share of grits and biscuits -- she’s considered an authority on all things Southern and delicious (and has written five cookbooks on the subject to prove it). 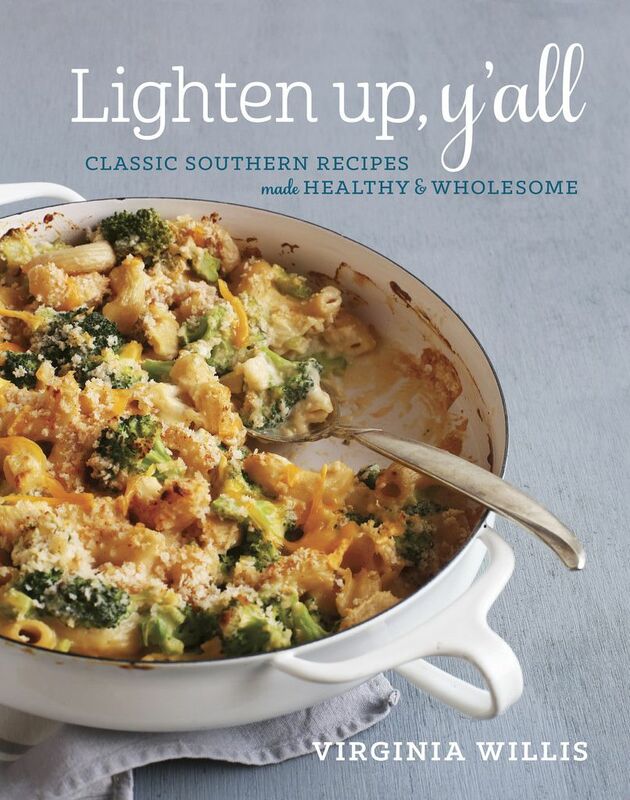 But she insists in her newest book, Lighten Up Y’all, that there is much, much more (and less) to Southern food than what you’ll see on TV or in buzzy roundups: more diversity, vegetables and fruit; less sugar, fat, and processed foods. More: Make your kitchen more Southern with these six tips. With warmth and relatability, Willis takes readers under her wing with her writing in Lighten Up Y'all, rooting for them to find ways to infuse their diets with flavors from fresh produce, spices, and responsibly-sourced meat and seafood. She addresses the harder conversations -- calorie and fat content aren't always the topics people want to see when reading a new cookbook -- with a straightforward and charming voice that invites healthy discourse over, well, the unhealthy. The cookbook's recipes easily inspire memories -- they are full of soulful ingredients with stories, like Hoppin' John with Limpin' Susan, Braised Collards in Tomato-Onion Gravy, and Georgia Shrimp and Corn Chowder. Family recipes for cheese straws, pimiento cheese, and zucchini crisps are redefined; their deeply-seated methods updated. 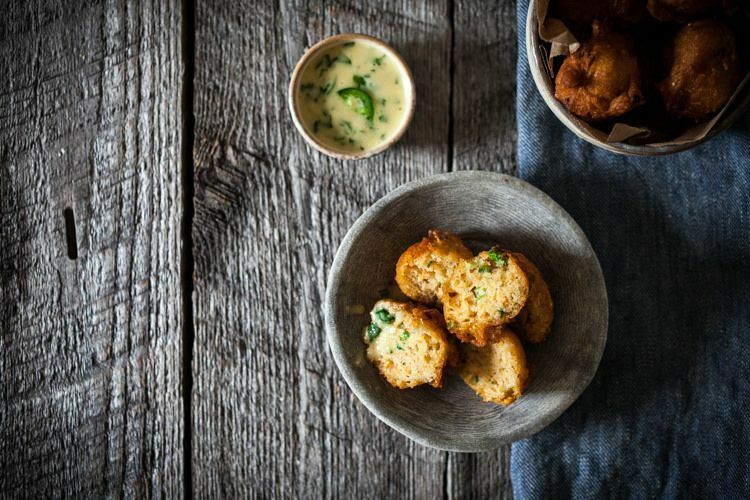 More: Update classic hushpuppies with a bright and spicy aioli. You grew up in Georgia. What influenced you to pursue classical French training in the kitchen? I come from a long line of good cooks, and my mother was, and is still, exceptionally adventurous. She had Mastering the Art of French Cooking and would cook from it when I was young. I grew up with dishes as diverse as crêpes aux champignon, buche de noel, roulade aux poulet -- and homemade eggrolls -- alongside fried chicken, red beans and rice, and pound cake. I was exposed to many different foods and cuisines at a young age and as a result of it, always loved to cook. At the very start of my career -- literally, the very start -- I met Nathalie Dupree, who is also classically trained. She exposed me to techniques and recipes I had not learned in my mother's kitchen. Once I worked with her for a few years, I felt I really needed to go to France. And, of course, in France is where I worked for Anne Willan (founder of Ecole de Cuisine La Varenne) and also worked with Amanda! How would you describe your evolution as a cook? Food and cooking have always been at the center of my life. My fondest memories are in the kitchen with my grandparents and with my mother. I've been cooking since I was in junior high and my mother did a great job of exposing my sister and me to different foods and flavors. She also prepared wholesome, homemade recipes. We didn't eat out much and certainly didn't have fast food. We had a garden where I grew up in South Georgia, deep in farm country. I always saw where food came from and knew how it tasted when fresh from the farm. That's at the very center of where I am as a cook. I had that deep foundation from my mama and grandmother, then Nathalie and Anne opened the doors for me. 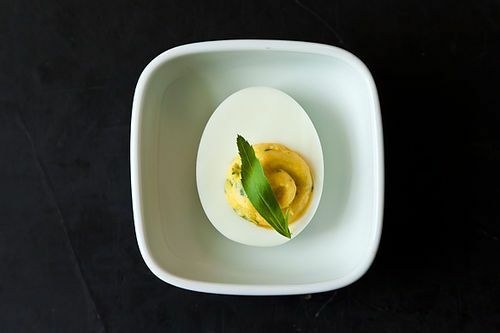 More: Here's the trick to Willis' genius deviled eggs. You’re known for your Southern food. If you were to choose a different cuisine to master, what would it be? Yes, I am French-trained and known for my expertise in Southern cooking, but it's certainly not all I eat or cook. My partner, Lisa is a great Asian cook -- she cooks a lot of Chinese and Vietnamese dishes so she influences my learning there. We are also very interested in Middle Eastern cooking. I love Ana Sortun's books along with the classics by Paula Wolfert. I think, at least now, I am most curious about the various cuisines of the Middle East and eastern Mediterranean. Do you think it’s a misconception that Southern food is considered unhealthy? The fact that many people think that all Southern food is unhealthy is, to a great extent, why I wrote Lighten Up, Y'all. All Southern food is not unhealthy. Southern food is traditionally a vegetable-based cuisine. To view Southern food as only fried chicken and biscuits is a great over-simplification. Where are the okra and tomatoes, whole grain cornbread, hearty winter greens, corn, butterbeans, and summer squash? Certainly, there are Southern dishes that are indulgent, but there are in any cuisine. What has happened in modern culture is that fried chicken became an everyday dish, a many times a day dish, with fried chicken biscuits for breakfast, fried chicken salad or sandwich for lunch, and a bucket of fried chicken for supper. Once upon a time not very long ago, fried chicken was a special occasion dish. I think that the South, much like the rest of the country, got lost on the way to the drive-through and detoured with processed foods. And, I might add, that much of what is promoted on TV as Southern food isn't real. I've never had bacon-wrapped, deep fat fried mac and cheese in my life. More: Know your cornmeals and how to use them properly. In the process of writing Lighten Up Y’all, did you find that you had already been making healthy dishes? Many of the dishes in Lighten Up, Y'all were already light to begin with -- or only needed just a few tweaks to make them good and good for you. My Summer Squash Casserole isn't all that different than the one that I grew up with and that's really at the heart of my cookbook. And, I also realized while writing the book, that it was important to me to not just to take away fat and extra calories, but to enhance the nutrition and add more fruit and vegetables to dishes. As a trained chef and recipe developer, I was able to work with umami and maximize savory flavor so that if I did take away fat, it wouldn't be missed. These dishes all taste delicious. I want folks to make and share these recipes with their families and not consider that they are "healthy", only that they taste good. What’s the quick, go-to recipe that you cook for yourself after a long day at work? My one pot dish often involves what I call a Southern Stir-Fry. I'll season boneless, skinless chicken thighs or turkey breast cutlets and sear them on both sides. Then, I saute a mixture of vegetables in the same skillet such as broccoli, cabbage, and carrots, depending on what's in season. I return the chicken or turkey to the skillet, scatter the entire mixture with fresh herbs, pop it in the oven for a few minutes, and dinner is done. I most often don't serve a starch, and try to keep it all about the vegetables. The truth is that I really cook like the recipes in Lighten Up, Y'all. Most of the dishes are accessible and time-friendly after a long day at work and I can stick to my points plan on Weight Watchers and my family can enjoy a healthy, hearty supper. 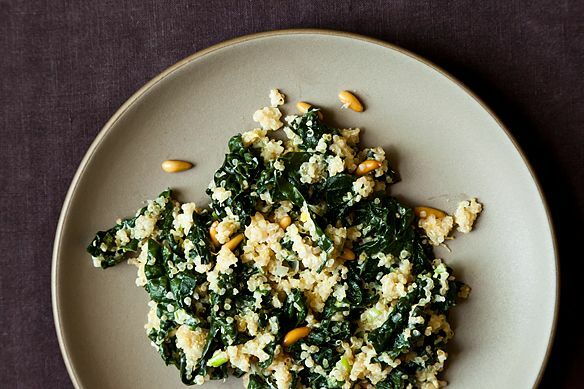 More: One-pot meals, like this kale & quinoa pilaf, are quick, healthy, and great for weeknights. When you don’t start your day with stone-ground grits, eggs, and ham, what’s on your breakfast table? If I do start my day with whole-grain grits simmered in a combination of water and 2% milk, I seldom top them with eggs and ham. My days usually start with a sunflower butter and fruit sandwich. I really like protein to get me going and off to a good start. Eggs, grits, and ham aren't the kind of dish I have the time to prepare -- or the metabolism to maintain that sort of high-calorie, high fat breakfast. It's not that we can't have that kind of Southern comfort food -- we can -- but it's not meant to be everyday, all the time. That's a special occasion brunch for me. And, when I do enjoy that kind of start, I make sure to balance things out the rest of the day. It's all about moderation. Reprinted with permission from Lighten Up, Y'all: Classic Southern Recipes Made Healthy and Wholesome by Virginia Willis (Ten Speed Press, 2015). Photography by Angie Mosier. This article is brought to you by Ten Speed Press. Head here to pick up a copy of Lighten Up, Y’all. I'm a big fan . . . . cooking and recipes aside, she appears to be a genuinely warm and happy person, pretty good ingredients for a good cook. Love Virginia Willis-- thanks for this. Looking forward to the entire series! We love her too! Glad you enjoyed the article.